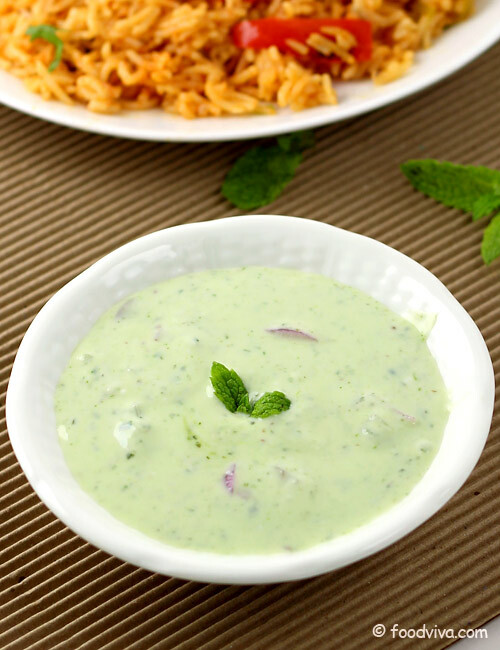 Mint raita, a popular Indian style simple Mint Dip made from fresh mint leaves and curd (plain yogurt) is a perfect accompaniment for stuffed parathas, various types of pulaos and vegetable biryani. 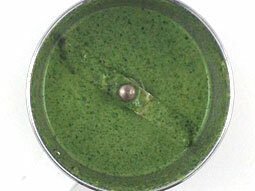 It is also known as Pudina Raita as mint leaves are known as Pudina ke Patte in Hindi. 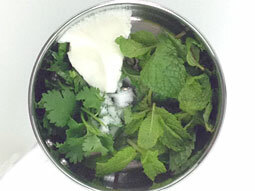 Preparing Mint Raita at home doesn’t require any special cooking techniques or any special ingredients, and can be prepared within minutes with this recipe’s step by step photos and easy to follow directions. Take 1/2 cup loosely packed mint leaves, 2 tablespoons coriander leaves, 2 tablespoons curd, 1 teaspoon sugar and salt in the small jar of a mixer grinder. 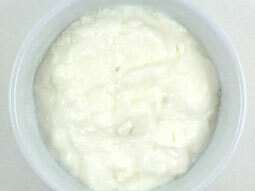 Take remaining 1 cup + 2 tablespoons curd in a bowl. 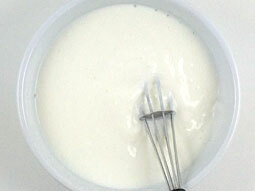 Whisk it using a wire whisk or a spoon until smooth. 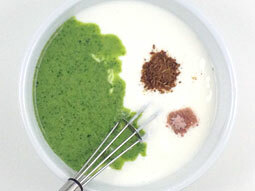 Add mint paste prepared in step-2, 1/2 teaspoon roasted cumin powder and a pinch of black salt. Add 1/4 cup finely chopped onion and mix well. 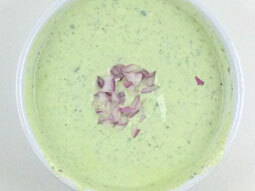 Mint Raita is ready for serving. Serve it with vegetable biryani or with your choice of pulao in lunch or dinner. If roasted cumin powder is not available, you can roast ½ teaspoon cumin seeds in a pan over medium flame for a minute or until fragrant and then grind them with mint leaves and other ingredients in step-1. 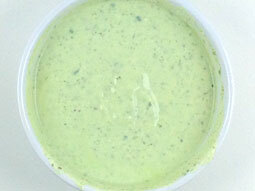 Add 1-green chilli while grinding the mint leaves in step-1 or add a pinch of red chilli powder or black pepper powder to make Mint Raita spicy. Serving Ideas: Serve it with vegetable biryani or veg pulao in lunch or dinner. It also goes well with stuffed parathas as a meal. Very nice and easy recipe.. ..thanks for helping.